Most people now prefer conducting search on one of the many popular online directories to find businesses nearby. In fact, a recent research study by Google reveals that every 4 in 5 consumers use search engines to find local information. Since online searches have become the preferred way of finding businesses, their services and products, it’s makes sense to ensure that your small business’ address and directions appear across all applicable online directories. 1. Manta – This directory features over 30 million unique view per month. It offers a host of services including paid optimization packages to increase web-traffic. It’s easy to set up and can highlight products or brands on your profile page. 2. MapQuest – Yet another brilliant online directory for small businesses, MapQuest offers detailed navigation to businesses. It’s affordable and offers central control panel manages listing across multiple sites. 3. MerchantCircle – This online directory offers local marketing for target audiences. You can advertise and host your business blog on this site. 4. Superpages.com – This directory site offers local weather on the home page, facebook linking option, popular serch categories making it easy to promote your small business and get quality leads. 5. Local.com – It is a free directory and includes events, deals and info on popular small businesses. In addition, it offers a host of advertisement options, coupons and resources to ensure your small business is correctly listed online. 6.White Pages – This directory has been deliberately designed to list business effectively. Also, this site is sought after by small businesses for its text messaging services for mobile marketing and sponsored advertisement options. 7. Yahoo! – It is the third most popular search engine in the world. Listings are free on Yahoo and it offers paid account level to include photos, descriptions and more features for 9.95/month, or include listings in over 40 other directories for 29.99/month. 8. YellowBot – This directory allows you to sign in with Windows Live, Google, Twitter and more. With this directory premium listing options available and you get the ability to add searchable tags with this directory site. 9. Yellow Pages – This site is a modern take on traditional phone books. This directory site impresses with its well organized, detailed performance data for ads. It is utterly popular and multi-million searches are conducted on this site per day. 10. Yelp – This directory site helps you create deals from within this site for your loyal customers. In addition, by listing your small business on this site, you get access to send messages and post publically. Also, this site helps you analyze how your small business is trending. 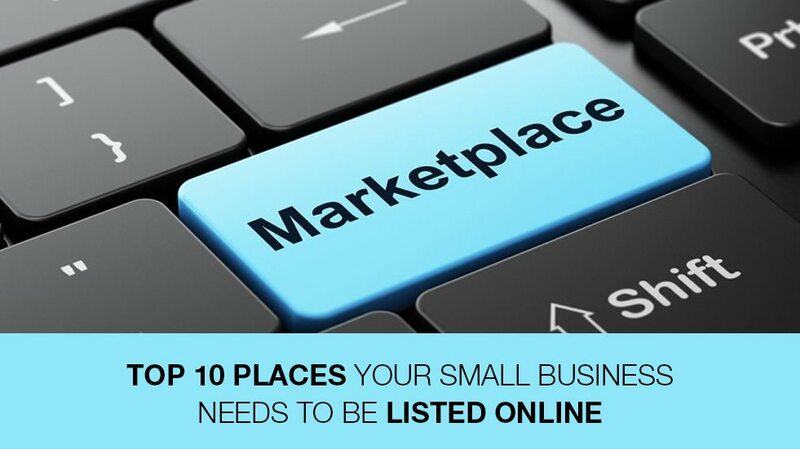 Do you know any other popular directory site for small businesses? Please share with us in the comments box below. Looking for Customized, On time, Banner Ad Design? Launch a Banner Ad Design Contest today. Choose from 100+ designs. Take your pick! Previous Previous post: Facebook Small Business Page: How to Get More Likes & Shares?